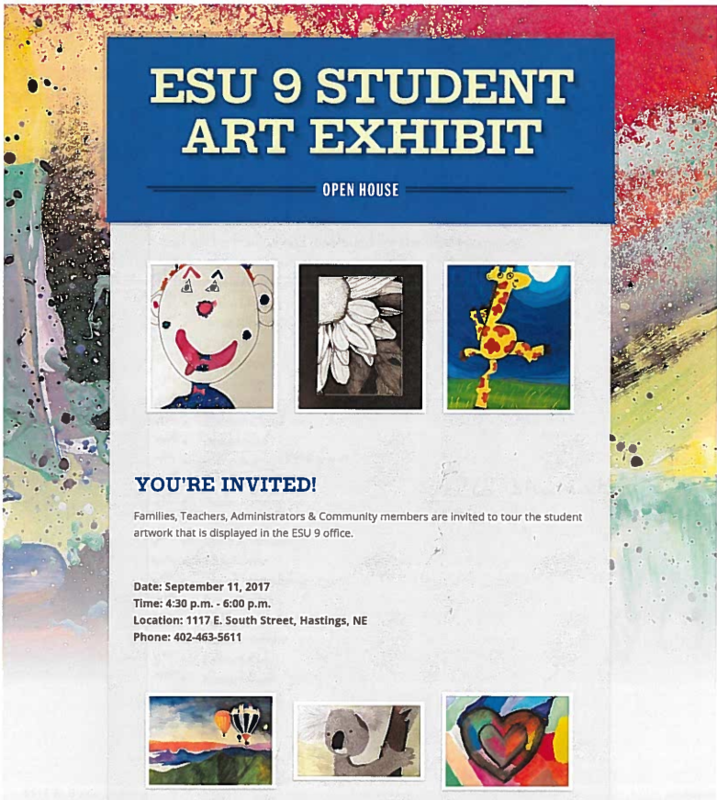 Families, Teachers, Administrators & Community members are invited to tour the student artwork that is displayed in the ESU 9 office. Artwork from twenty-six Blue Hill students (grades 3-7) have been selected to be displayed at Educational Service Unit No. 9. They will be framed and displayed for the next two years! Congratulations to Mrs. Atwater and the Bobcats on a job well done!